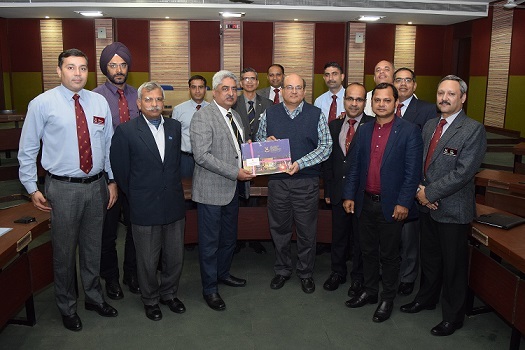 A group of senior officers from College of Defense Management’s (CDM) Higher Defense Management Course (HDMC) visited IIM Indore on December 14, 2017. 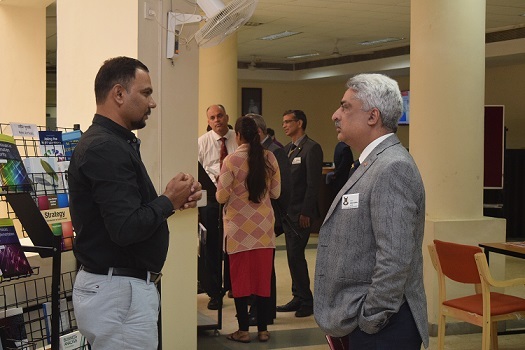 The core programme of CDM is a premier tri-service management institute which imparts management training to the senior officers of three services, para-military forces as well as officers from friendly foreign countries. HDMC is a core programme of CDM attended by selected senior officers wherein they are exposed to various management concepts. 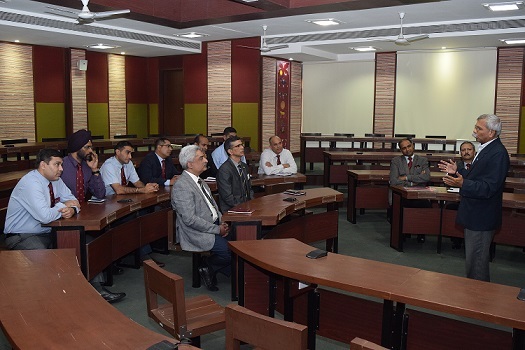 As a part of their course curriculum, the officers visited IIM Indore to get an exposure to the prevailing management practices and state of the art technologies. 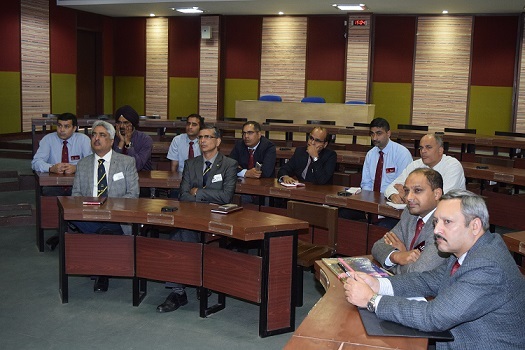 They interacted with Professor Rishikesha T. Krishnan, Director, IIM Indore and Col. Gururaj Gopinath Pamidi (Retd. 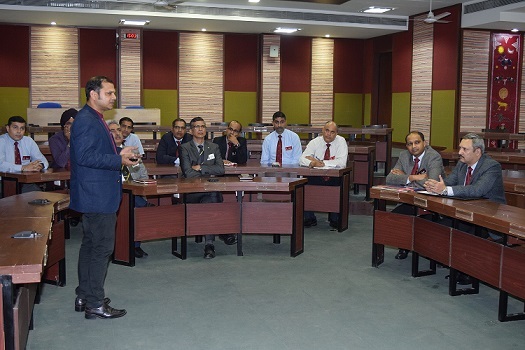 ), CAO, IIM Indore. 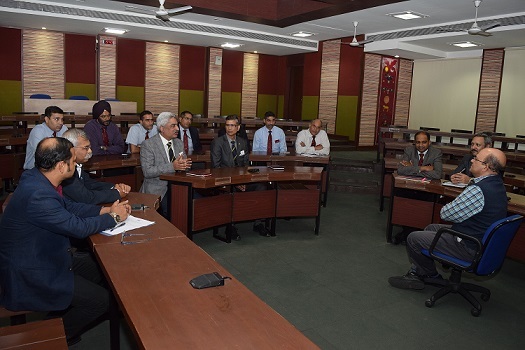 They discussed on the topics whether their institute and IIM Indore can exchange faculty for knowledge sharing and a theory can be added to the teaching pattern, especially in the case of defense officers taking admission in a particular programme. Discussions on India-China relationships and how business opportunities are growing in China also took place. The officers also shared their views on what practices India could follow to grow in a similar way like China. The officers also visited the Library and learnt about the facilities available there. Finally, they went to see accommodation facilities in in ER-3, where the participants of Executive PG programme/Defense officers reside. Captain Sanjay Ahdana was the Nodal officer for the visit. Mr. Ajaya Dash, Officer, EPGP felicitated the visit and also delivered a presentation on IIM Indore.